This update is bigger and more impactful than usual. Highlights: the progression of the mod has been redefined, and we finally have models for each carving on a Totem Pole. In particular, Buffalo and Cedar tier have been swapped. Crafting recipes, ceremony selectors and ceremony requirements have been changed accordingly. Refer to the Totempedia for details. The Zaphkiel Waltz no longer turns saplings into Red Cedar saplings. This has been moved to a new ceremony, see below. Symphony of the Depths: A simple ceremony that gives Water Breathing for a few minutes. Rite of Spring: Makes animals (and villagers, NYI) breed. Also turns regular saplings into Red Cedar saplings like the Zaphkiel Waltz used to do. Steve's Lullaby: Cures Zombie Villagers and Zombie Pigmen, turning them into their living counterparts. Danse Macabre: Turns Rotten Flesh into Zombies, with a chance of getting Zombie Villagers. Renamed Flute Imbuation to Serenade of Syrinx. Renamed Mandan Buffalo Dance to Buffalo Dance. 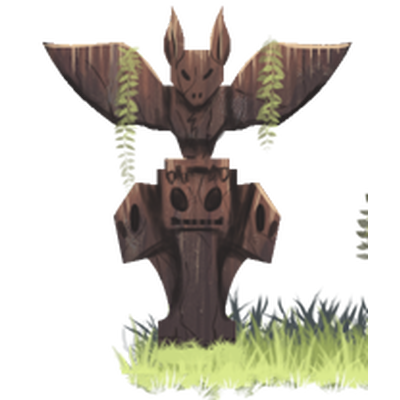 Added models for each carving on Totem Poles. These were made by Nefilto. The poles now use a stripped log texture. It is planned to add color to the carvings to give them more contrast. Also, for now they always face the same direction. (@Dylan4ever) New textures for many things. In particular, Red Cedar wood is now actually red-ish. Removed Russian localization. It was way too outdated. WIP: Added Netherumbrian Pipes, a new instrument. Currently not obtainable in survival.